The pressroom consumables provider, a division of Mark Andy Inc., displayed alongside strategic partner DuPont Advanced Printing as the two co-sponsored the booth to showcase advanced platemaking and processing equipment coupled with best-in-class plate mounting. This provided attendees the opportunity to valuable face time with the ten technical experts dedicated to optimizing pressroom efficiencies. On the evening of day one of the show, MAPP and DuPont Advanced Printing hosted a customer appreciation event in Stand 319, Mark Andy and Rotoflex’s equipment booth. This event was kickstarted with a live demonstration of the Mark Andy Performance Series P7E featuring DuPont™ Cyrel® FAST EASY EFX plates and a job mix of shrink, EG flexo print, and digital inkjet screen printing through the Digital Plus Screen retrofit solution. The DuPont™ Cyrel® FAST EASY EFX thermal processed plates are designed for the highest quality printing of halftones, linework and solids at high-speed printing. During this time attendees also received an exclusive sneak peek at the Performance Series P9E, Mark Andy’s newest addition to the Performance Series platform. 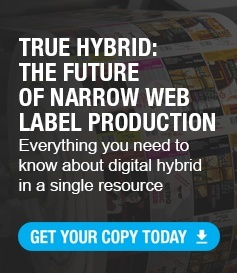 The P9E addresses market demand for film and flexible packaging, especially those short run in nature, with its 26-inch web width option. Following the demonstrations, customers were able to network with their supply experts with the enjoyment of drinks and hors d’oeuvres in the hospitality area. In just a few short years, MAPP has more than doubled its business to offer converters better technical support on the supplies that keep their presses, and businesses running. This was evident in both Stand-749 and 319. 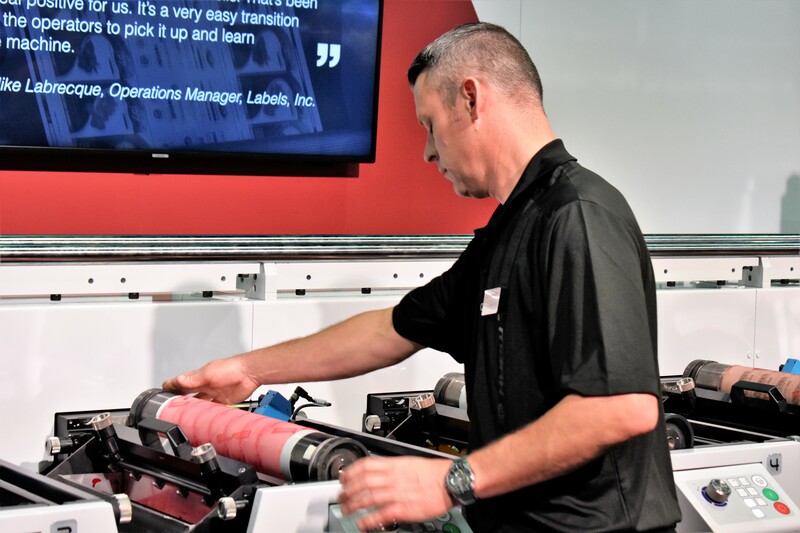 All live demonstrations in Stand-319 were optimized with supplies ordered through MAPP including tesa tapes, DuPont plates, Praxair anilox rolls, RotoMetrics plate and magnetic cylinders, doctor blades and more. Visitors to Stand 749 could find the latest Cyrel® FAST 2000 TD and DuPont™ Cyrel® EASY flexographic printing plate technology, as well as Mark Andy’s own Dr. Flexo demonstrating the VPM400 plate mounter. 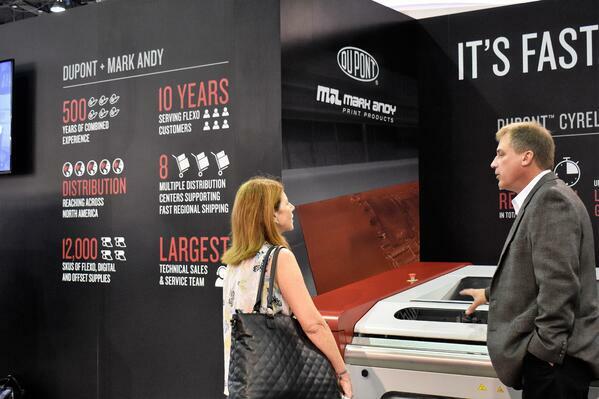 Tom Alba, Vice President of Mark Andy Print Products, shares, “This Labelexpo has been an extremely effective showing for MAPP in the wake of so many positive changes and strategic agreements. As the largest consumables business in North America, our inaugural reception to the show was well-received and has recommitted our efforts to maximizing prepress and pressroom efficiencies for our customers." MAPP is a complete resource for pressroom supplies, consumables, parts, and small equipment. A one-stop-shop for all pressroom needs supported by a team of experienced technical experts ready to tackle any pressroom inefficiency their customers face.